Bask in your true blue style appeal, as we bring to you The Classic Male White Linen Short Kurta. With a designer collar that has stripes running all around its corner and sleeve cuffs in grey colour, this one is a pure heart stealer. The in-seam of the neck panel is grey in colour as well and looks well whenever it comes to sight. 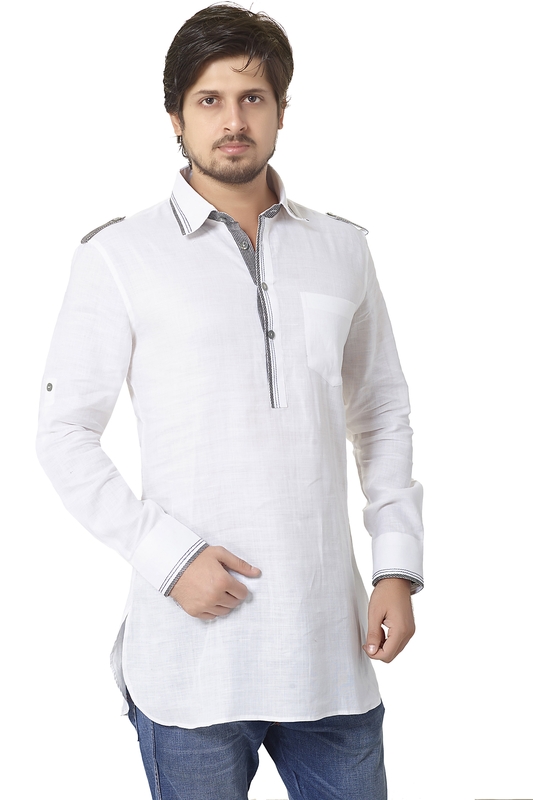 This fine quality linen kurta makes for a perfect casual as well as semi-formal occasion wear! Fancy epaulettes in grey colour provide the much needed edge to this one!